This survey is a tool designed to help you better understand your readiness to start your new business. It covers the four most critical areas of: Market, Product, Operations and Finance. Use this tool to help you and your advisor assess where you are in the planning phase and determine your next steps. The assessment is designed to give you and an advisor more information which can make a substantial difference in jump-starting the advisor’s ability to add value on the first contact. Use this completed form for your own information or to send to your nearest advisor. You can find the advisor nearest to your location at our center locations page or by using the ‘Find Nearest SBDC Center’ zip code search in the lower right corner of this page. To help you assess the readiness of your business start-up. This form will be auto emailed to the email you provide. Questions with an * are required. Would you like to be on our mailing list? 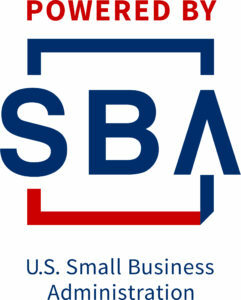 We may occasionally send announcements regarding small business training in your area or online. Do you have the physical and emotional stamina to handle the work load and schedule considering many business owners work 60+ hours a week? Can you meet your living expenses for several months or more without taking money from the business? Is your family prepared and in agreement with the strains they too must bear? List your professional training and business experience. What specific skills are needed for your business to be successful? Do you and your team possess those industry specific skills? Do you and your team possess the necessary skills to manage the business? When hiring personnel, Will you be able to determine if the applicants' skills meet the requirements for the positions you are filling? Have you worked in a managerial or supervisory capacity? If you discover you don't have the basic skills needed for your business, will you be willing to delay your plans until you've acquired the necessary skills? Every successful business has found a niche and is filling it. The most crucial problems you will face in your early planning will be to find your niche and determine the feasibility of your idea. "Get into the right business at the right time" is very good advice but following that advice may be difficult. Many entrepreneurs plunge into a business venture so blinded by the dream that they fail to thoroughly evaluate its potential. Before you invest time, effort, and money the following exercise will help you separate sound ideas from those bearing a high potential for failure. What unfilled need does your product or service satisfy? Will your product or service serve an existing market in which demand exceeds supply? Describe how you have verified your market through research. How much will your product or services sell for? How do you plan to promote your business? Use the Starting a Business Checklist for a template of start-up expenses. What percentage of what you need do you have? Lenders typically require 20-30% owner equity. Do you have sufficient collateral to support the remaining loan amount? Typically owners' home equity is signed over to the lender. How much money will you need to stay in business? Your assessment results will be kept strictly confidential under our confidentiality and conflict of interest policy.